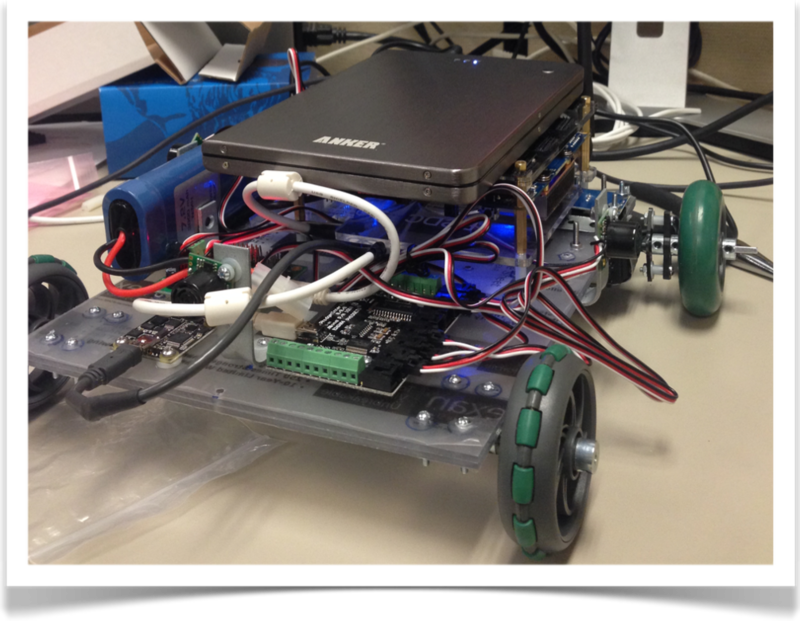 The eRobotic platform is a robot that may be used with the Genost educational system. Students may write algorithms in the Galvatron IDE and execute them on the robot. In this way students can see their algorithm being translated from abstract statements into real-world actions. 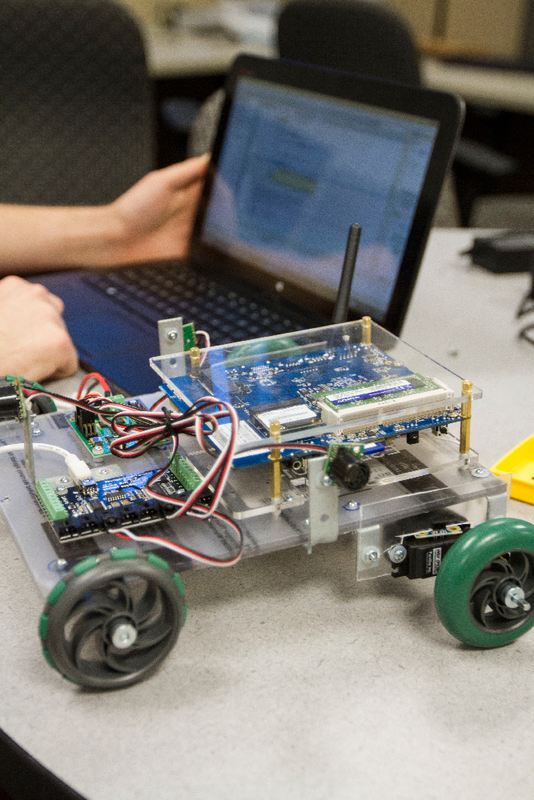 The robot is powered by an Intel Bay Trail SOC project board, and features a four-wheel omniwheel drive system, four sonar sensors located in the front, left, right and rear, and a compass sensor. The architecture of the robot is heavily influenced by the Robot as a Service (RaaS) paradigm. The robot uses the Genost API to communicate with the Galvatron IDE, which sends both code and activation signals to the robot. The robot itself cost ~$300 to build.